CLEARFIELD- Chad Steven Fisher died in an auto accident on his way to work at Utility Trailer Monday morning, October 15, 2018. We’re all shocked at this tragic event which has taken our loved one away! He will be missed! Chad was born February 12, 1986 in Salt Lake City, Utah to Kathy & Mark Feurer. He was the younger brother of Tiffany, and Melissa. He was a fun loving kid who knew no fear. He was very curious and all boy! He could always make his sisters laugh. 1990 – He and Melissa were adopted by Steven, & DeeAnn Fisher with JoyAnna, sister. Chad had just turned 3 and Melissa was almost 6. He went from shy to Mr. Daredevil in a few short years. His big heart had love enough for everyone. His family of grandparents, aunts, uncles and cousins were taken with him from the start. He sang with the VIP Singers at the Utah State Capitol, Dickens Festival, 49th Street Galeria & Lagoon. He loved Jr. Jazz Basketball, and loved John Stockton. He had fun in Cub Scouts with DeeAnn as his Den Mother. Grandpa Jessop was a great example and encouraged him in Scouting too. Other things he enjoyed were bike riding, swiming, camping, caving, repeling, hiking, visiting family and friends but most of all walking his dog “Duke”. He did home school, attended Antelope Elementary, Benjamin Franklin Academy, North Davis Jr. High School (where he met Vicki his present sweetheart. ), and Clearfield High School. They dated off & on until they were 16. When they went separate ways until about 5 years ago, 2013. He loved taking things apart and putting them back together, especially the taking things apart, like old radios, toasters, etc. He was a skilled lego builder too! His first job was delivering Newspapers, to earn money for things he wanted like his new red bike with the pegs on the back, and his rubber raft which he took to Bear Lake. He worked at Lagoon one summer, and at a headstone / monument company, he also did some building & construction stuff too. Plus he worked at Lifetime for awhile. Vanessa Mattson and Chad had 2 wonderful children: E.J. 2005, and Malachi 2007. Chad was the proudest papa ever! His children were so important to him and were the light of their life. When he struggled, they were the reason he never gave up, and kept fighting to be a better Dad. However, the addiction problems got worse before they got better. The children were adopted by his oldest sister, Tiffany who gave them a stable home, fed, clothed, & raised them from that time to the present, as her own. Chad loved them and always appreciated her stepping up to care for them when he couldn’t. Chad reconnected with Vicki, his childhood sweetheart in2013. They were head over hills in love! They were such a support to each other thru the hard times that followed as Chad made peace with himself and God. When he was released from prison this past Spring he was a new man! He conquered his addictions and was living his dream! He adopted a “Pay it forward” philosophy. He helped people with rides, and bought groceries when they were short on change. He embraced Vicki’s children like his own, impacted Kaleb Holston, Madelynn & Kody McEwen in many positive ways! He has touched many lives and made many friends. He has been an example to us all, “work hard, help others and follow your dreams”. He appreciated all the letters and encouragement. He finally kicked his drug habit and was living his dream! Steven, DeeAnn, JoyAnna & the family are so thankful for Chad’s self-less service, helping to finish off the basement and fix up the Clearfield home for sale! Truly a life saver! His last job was with Utility Trailer where he loved his boss & the crew he worked with. He had earned 5 raises since March and really liked his co-workers. Chad is survived by his parents: Steven & DeeAnn Fisher (Missouri), Kathy Shivers & Shannon Barnes (Ogden), Mark & Lisa Feurer (Arizona). His sweetheart: Vicki McEwen; Children: EJ and Malachi Feurer, Kaleb Holston, Madelynn & Kody McEwen. Siblings: JoyAnna (Louis Saucedo) , Tiffany (Jason Collins), Melissa (Paul Morgan), Josh Barela, & Jeremy Gurule, Kristen and Brooke Feurer & 19 Nieces and Nephews and a huge extended family, which he loved. All are welcome to come & celebrate Chad’s life with us! 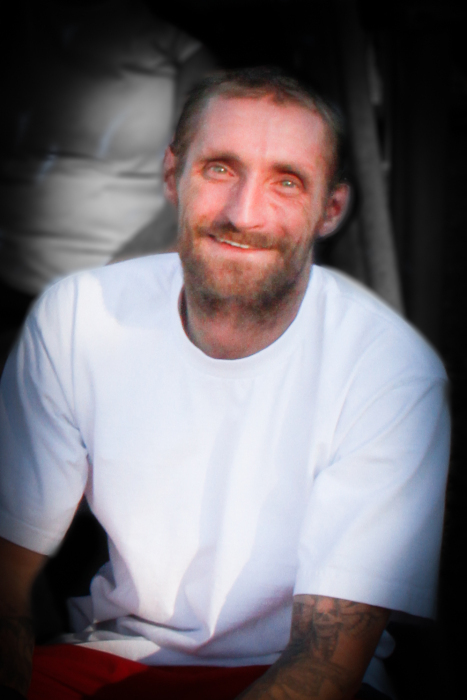 Any wishing to donate for funeral costs for Chad can do so at https://animoto.com/play/VwKvY6BB9TJEMU8kSMK10Q.